Oaks at Ironwood is all about country quiet living, forest views, rolling terrain, and natural 360 degree surroundings. This single-family neighborhood features large home sites and custom built homes. Choose your home site, bring your home design and let Sumner Construction, the exclusive custom home builder, build you the custom home of your dreams. Or, choose an inventory home, that Sumner Construction has already begun building. Located in Franklinton, Oaks at Ironwood is a very special place to live and escape from the city congestion and stresses of work. And yet, minutes to shopping, restaurants and services. Many Home Design plans to choose from such as: the popular Ranch-one-level with or without finished upstairs bonus, bedroom(s), etc. or, 1st-Floor Master Bedroom and Laundry. Or select one from the many more Home Designs. Or bring your own home design. Custom built to suit your needs and budget. Sumner Construction: Integrity, Quality, Trusted!!! 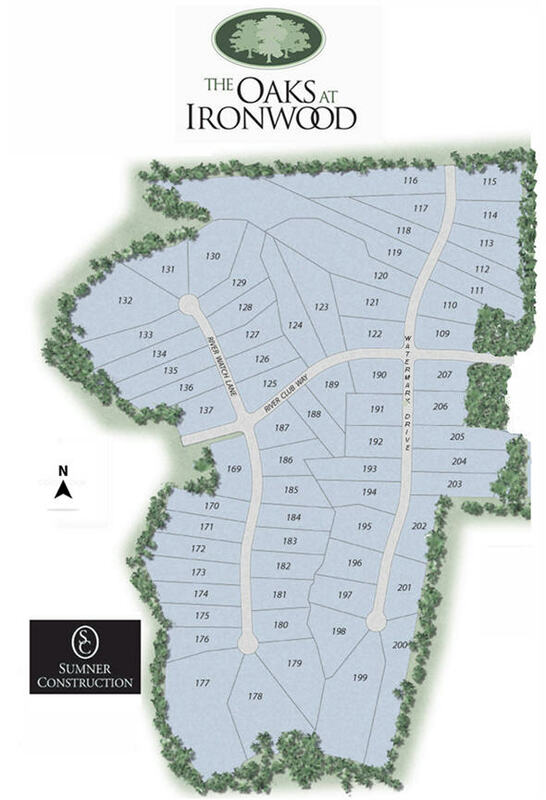 62 Homesites Available, 5 Spec Homes started, Model Home ready Spring 2019.